A lot of people are making some noise over the new 4-team playoff format in college football. A lot of those people in the sports media are singing the praises of the college presidents such as ESPN.com’s Gene Wojciechowski. Others are knocking the playoff as a glorified money-grab, such as CBS Sports’ Ray Ratto. Personally, I would call this the reincarnation of the BCS. Think about it for a minute. There are a lot of similarities between the BCS of old and the upcoming 4-team playoff. In the BCS, you had automatic qualifiers. No matter how bad a team’s record was, if it were in the ACC, Big East, Big 12, Big 10, Pac 10 and SEC it was guaranteed a spot in a BCS bowl game. As for the upcoming 4-team playoff, there will be six bowls that will be in the playoff rotation. What are those bowls you ask? The Rose (Pac 12/Big 10), Champions (SEC/Big 12) and Orange (ACC) are among them, and as you can see the conference champions qualify for those respective big-money bowl games. In case you haven’t noticed, those bowls will STILL have automatic qualifiers. Also the have-nots will still have problems gaining access to a national championship, only that access have just gotten a helluva lot smaller. 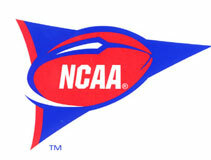 There are currently no major bowl tie-ins for the MAC, Conference USA, and Mountain West. Do you think the “selection committee” would choose an unbeaten Boise State over a one-loss Alabama team? The are only two major differences. One, the schools at the major conferences will stand to make A LOT MORE money in the playoffs than in the BCS. Two, the Big East is going to be left out in the cold. And while the “selection committee” will put more of an emphasis on strength of schedule (which is a good thing), we might as well call this 4-team playoff what it is.